How to buy iraqi dinar? Whether you buy the Dinar as a currency collector simply because of Iraq's brightly-colored banknotes, or whether you buy it with an eye toward a future currency exchange with Currency Liquidator, there's a lot to know about Iraq's economy and currency. Just as it is with any other purchase, knowledge is the key to success when buying the Iraqi Dinar. The more knowledge you gather before you buy, the more success you'll enjoy after your purchase. In order to be successful with the Dinar, you'll need to have the most accurate information about Iraqi News, Politics and the Dinar and work with a leading currency dealer. Whether you buy the Dinar as a currency collector simply because of Iraq's brightly-colored banknotes, or whether you buy it with an eye toward a future currency exchange with Currency Liquidator, there's a lot to know about Iraq's economy and currency. Given the world's insatiable appetite for oil and gas, Iraq's dominant supply role is likely to become even stronger going forward. Although it's difficult to predict the future with certainty, it seems likely that sometime in the near future Iraq will grow into a regional and international energy superpower based on its rich reserves. In fact, Iraq seems on-track to replace Saudi Arabia as the region's wealthiest, most-developed nation within the next few years. What does this mean for the Dinar? A nation's economy, as well as the value of its currency, depends on its natural resources. Iraq's exceptionally large oil reserves are like “money in the bank,” available to meet the young democracy's needs as it continues to grow. Eventually the exchange rate of the Iraqi Dinar should adjust to reflect the true value of the country's oil wealth. This seems likeliest to occur once the Dinar’s exchange rate is not artificially set or controlled by the CBI. When that occurs, the strength of Iraq's economy will rapidly become obvious to all observers worldwide, not simply those few individuals who have taken the time to research it. Since the Gulf War and the ouster of Saddam Hussein several years ago, the Dinar has been considered interesting by many observers of Iraq's economy, especially in light of the country's booming oil industry. Nowadays, more and more people are discovering Iraq's economic success story. Encouraged by Iraq's rapidly-growing petroleum industry and favorable demographics. Iraq's economy has been growing steadily each year since the ouster of Saddam Hussein in 2003. The country is blessed with enormous oil reserves, and thus far only a tiny fraction of potential oil-bearing sites have been explored. Fueled by petroleum, the economy is expected to perform even better going forward. These companies have flocked to Iraq, drawn by the opportunities to develop its oil and gas resources. Although these companies were first active in Iraq beginning in the 1920s, they were absent from Iraq during the Saddam Hussein era. Regardless of ongoing political friction throughout the region, Iraqi oil is flowing freely. The nation now exports increasing quantities of petroleum each month, and there are plenty of revenues to drive the nation's development, including government spending for infrastructure and social programs. numerous explorations are currently underway for new oilfield discoveries. They're also nearing completion of the world's single largest residential housing complex, with more than 100,000 homes and apartments for Iraqi families. The Iraqi Dinar (Symbol: IQD) is Iraq's official currency. Issued since 1931 by the Central Bank of Iraq (CBI), it's one of the world's most important yet under-recognized currencies. Of course, banknote collectors also like the Dinar because IQD notes are colorful and interesting. In 2003 a low-valued Dinar seemed appropriate. At that time the local oil industry was stagnant after years of UN sanctions had made replacement parts and new technologies unavailable. Oilfield exploration had stopped during Saddam Hussein's reign, and Iraq was producing and exporting only a trickle of oil. Since then the nation's economy has fully recovered. Iraq is thriving, and infrastructure development is progressing throughout the country. Yet, even though the economy has grown enormously since 2003, and the government has amassed huge reserves of cash and gold bullion to store Iraq's wealth, still, the foreign-exchange rate of the Dinar hasn't kept pace. The IQD is still officially valued at nearly the same price level where it was fixed by the CBI twelve years ago – The Dinar's value hasn't risen to the level expected by many observers. The value of any country's currency is ultimately based on the strength of its economy and the wealth of its natural resources. By any of these measures, Iraq is a very wealthy country. That's why so many people are enthusiastic about Iraq, and feel so strongly about the Iraq economy. When buying Iraqi Dinar currency from a leading dealer with an authenticity guarantee, there are no worries about counterfeits. The CBI has had the full benefit of American technology and insight in designing the new generation of Dinar currency introduced in 2003 after Saddam's departure. In fact, Dinar notes feature SPARK® ink technology, which is the state-of-the-art in anti-counterfeiting technology. Beyond the color-change viewing effect achieved by tilting the banknote, SPARK® also displays a bright ring that moves around the central point of the image as the note is tilted. Dinar notes are also scanner-readable, and they even feature raised Braille lettering for use by the visually impaired. Buying Dinar From Currency Liquidator gives you options! 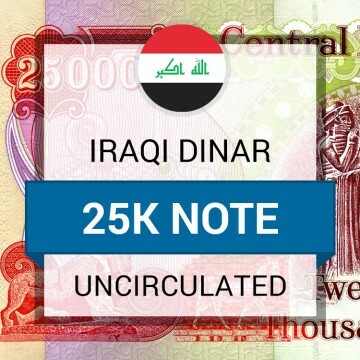 Today's Dinar banknotes are most commonly issued in the denominations of IQD 25,000 and IQD 10,000. In the past, the CBI also issued smaller denominations including notes worth IQD 5,000 as well as IQD 1,000 and 500 and 250, plus a 50 note. Due to inflation, today these smaller notes are rarely used in everyday transactions. Although some people have claimed that uncirculated (never used) banknotes are more valuable than circulated (used) notes, the reality is that all Dinar currency is spendable and redeemable, whether it's fresh from the mint or whether it's already been circulated in commerce. When you're ready to buy the Iraqi Dinar or any other foreign currency, you should work with a leading currency dealer who will ensure your satisfaction. Although there are many currency dealers online, basic research quickly reveals that most of them are marginal, and some of them are outright questionable. It's always best to work with a dealer who offers the lowest prices for Dinar and other currencies, as well as providing exceptional customer service and support, convenient payment options. When you buy Dinar, at a minimum you should insist on receiving a full guarantee to cover authenticity of the banknotes. The very best dealers also offer more: A buy-back guarantee that allows you to sell your Dinar back to the dealer if you decide you no longer want the currency. The best dealers accept e-check because it's fast, easy and safe. Most importantly, a leading currency dealer will be fully registered with the U.S. Treasury as a money-services business, as well as being an A-rated member of the Better Business Bureau, and be in good standing. In fact, the leading dealer, Currency Liquidator, has zero complaints listed against it through the Better Business Bureau. That's an exceptionally strong qualification to look for when you're ready to buy the Dinar. Should I buy Iraqi Dinar? The Dinar's value has fluctuated over time. Before Saddam Hussein's mismanagement caused the Dinar's value to drop during his years in office, the Dinar was much stronger. Fortunately, since Saddam's ouster in 2003 the Iraqi economy has improved dramatically. There are plenty of economic indicators suggesting the best for Iraq is yet to come. Many people are enthusiastic about the Dinar. For those wondering what may be an appropriate target value, it's important to recall that in the years before Iraq's economy was stunted by the UN sanctions against Saddam, the Dinar has at times been worth more than USD $3 each. In 2003 the foreign exchange rate for the Dinar was set at an artificially-low level to account for the economic stagnation caused by the Gulf War and Saddam's mismanagement. However, since then the economy has skyrocketed thanks to the country's booming oil industry. Given the country's oil wealth, the Iraqi economy should do even better in the future. Logically, sometime in the future Iraq's economy and currency will receive the full attention they deserve. The New Iraqi Dinar note has several advanced anti-counterfeit measures, which are easy to identify and extremely difficult to reproduce. Prices are best without any doubt! There is more than one reason why we are the #1 customer rated Iraqi Dinar Dealer in the world! In addition to our US Treasury registration we are licensed as a currency exchange with every US state that we operate in. Licensure is an extensive process put in place by individual states to protect their citizens. We are a US Treasury registered Iraqi Dinar dealer that is in full compliance with all US Treasury rules and regulations. All currency we sell is legally obtained, legally declared, legally transported, and clear for resale. We boast a stellar A-rating with the Better Business Bureau. Our rating is a testament to our amazing products, pricing and service. While we specialize in the Iraqi Dinar, we carry many other exotic foreign currencies from around the world. Don’t see what your want? Contact us and we will get it for you. Get rewards for making Iraqi Dinar purchases, posting Iraqi Dinar reviews, referring friends, and so much more; use those rewards towards a new purchase. Talk to real people before, during and after you make a Iraqi Dinar purchase; your business and satisfaction is our #1 goal! All Iraqi Dinar we sell is guaranteed to be authentic and come with our company issued Certificate of Authenticity. Price is as important to us as it is you. That is why we guarantee the lowest prices on all Iraqi Dinar we sell period! Rest assured knowing your getting the most value for your money. Don’t take our word for it; with more than 100,000 customers and 1,000’s of customer reviews you can see why we are the #1 currency dealer in the world. 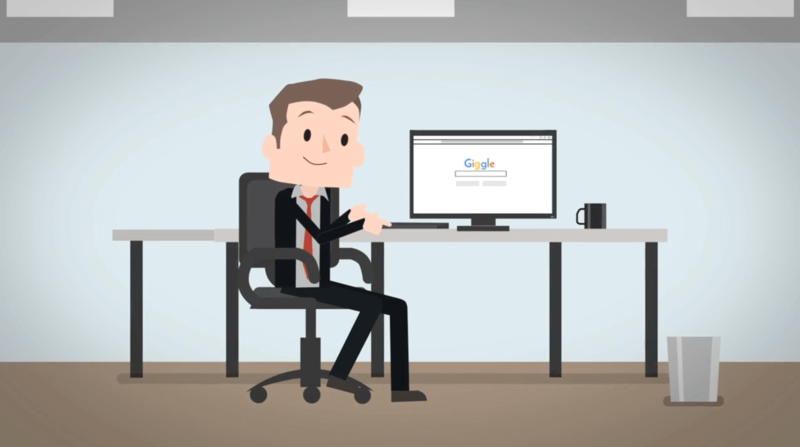 Security and compliance is what set us apart from the competition. We use the same 128-bit encryption and physical security that banks use and we are monitored by TRUSTe, GoDaddy and Verisign, so your order is always 100% safe and secure. Currently no banks buy or sell many of the exotic currencies we sell here. That is why its crucial you work with a dealer who can exchange your currency back to US dollars. No matter the amount of Iraqi Dinar you’re looking to exchange, we can exchange it guaranteed. Local, national and international Iraqi Dinar shipping is all done quickly and with precision. Why settle for one guarantee when we will give you 10? All Iraqi Dinar purchases are backed by our no questions asked, 30-day Money-Back guarantee, less a low restocking fee. Your satisfaction is our #1 concern. We will go above and beyond the call of duty to see to it that you are 100% satisfied with your Iraqi Dinar purchase. We won’t be beat on price, period. Compare us to any major dealer in the market and our Iraqi Dinar pricing will meet or be lower than any dealer guaranteed. Find a lower price within 24 hours of your purchase, from a licensed dealer, that accepted the same payment option you used with us and we will match or beat it guaranteed. All Iraqi Dinar we sell is guaranteed authentic, legally obtained, legally declared and from non-criminal origin. You will also be provided a Certificate of Authenticity. Even after our money back guarantee expires, you will still have the option to sell your Iraqi Dinar back to us at any point in the future. We guarantee a safe and secure Iraqi Dinar shopping experience. We use the same 128-bit encryption and physical security that banks use. We will be here to support you before the sale, during the sale, and after the sale guaranteed. We are a US Treasury registered money services business. We also hold many State Licenses and have an A-rating with the Better Business Bureau. We guarantee fast and safe delivery of your Iraqi Dinar. We ship all packages fully insured with tracking so you know where your package is every step of the way. All currency we ship is guaranteed to be authentic, legally obtained, legally declared, legally transported, and from non-criminal origin. Your order comes with this Certificate of Authenticity. Please take a moment to review these commonly asked questions. We accept eChecks, cashiers checks, money orders, and wire transfers. Please do not mail us a personal or business check; we no longer accept that form of payment. We ship all orders 24-48 business hours after receiving cleared payment. We ship orders via USPS and FedEx; the size and value of the order determines which carrier we will use, however you will be able to select from different delivery speeds. No, currently we do not offer credit or debit card payment options. Can I pay with eCheck? Yes, we accept eCheck orders up to $2,000 per order. You can submit your eCheck online. Please be advised we do require your identity to be verified in order to use this payment option. Will my order come with a certificate of authenticity? Yes, all shipments will come with a Certificate of Authenticity. Please use our contact form to get a hold of us. When is my order considered locked in? Customer verification is a program required by the US Treasury and individual States. Any order over $1,000 requires us to verify the customers identity in order to complete the order. All of this is done securely online. Once verified you will have no limits placing orders of any size. Where do I get a cashiers check or money order? You can get cashiers checks at any bank. You can get money orders through some backs, Wester Union, MoneyGram, and USPS. There may be other places as well not listed here.